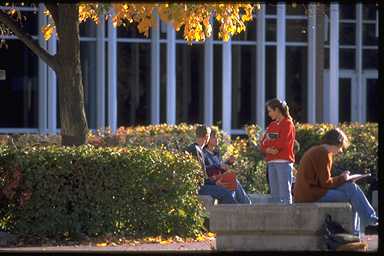 The Essentials of Learning course (GNST 101) emphasizes effective study skills techniques, individualized academic counseling, and exposure to a variety of learning strategies appropriate for courses across the curriculum. In addition, the course emphasizes that study skills are also career and life-learning skills, not simply techniques for obtaining good grades. Third Edition, Robert Feldman, 2007 -- Registration code for online resources included in text. 1. Consistent class attendance is mandatory. More than three absences will lower your grade. Beginning with the fourth absence, two percentage points will be deducted from your cumulative grade for each additional absence. Absences should, therefore, be reserved for emergencies. Three tardies equal one absence. Please be in the lab and ready to start on time. 2. Students must bring their textbook to class each day. No late work or incomplete work will be accepted. Reading assignments are to be completed before coming to class on the date listed on the syllabus. You will be tested over each reading assignment and material covered in class. Be prepared. 3. Class time may not be used for checking e-mail or logging on to the Internet. All homework assignments are due at the beginning of the class. 4. Permission for educational leniency comes from the dean’s office only. All work must be cleared with the professor before leaving. Finished work must be turned in before the absence or immediately upon returning to class. Work cannot be turned in at any unapproved time. 5. The schedule is tentative. If a change is necessary, the professor will notify students at least one class session before the change is effective. Please check your e-mail often because the professor will communicate with you through your ONU e-mail account. 6 Setting Goals/Why Am I Going to College? Students will not be granted special permission to take exams at times other than those listed on the syllabus.